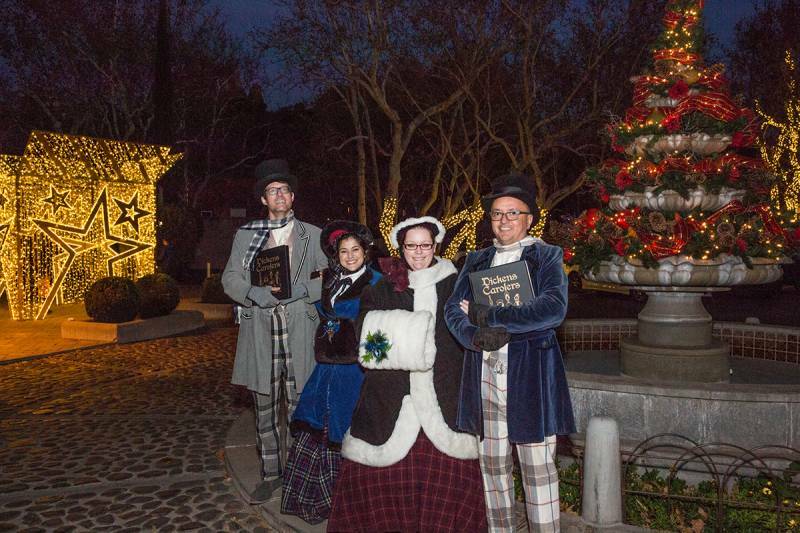 Tlaquepaque Arts and Shopping Village is proud to host several holiday festivities throughout the month of December. Take pleasure in creating special holiday memories with your family and friends and remember to mark your calendar. All our community events are free and off -site parking shuttles are available. The festivities kick off with The Miracle of the Menorah Lighting on the First Night of Hanukkah on Sunday, December 2nd from 5:30 - 6:30 p.m. Enjoy scrumptious latkes, donuts and hot chocolate while listening to festive music. Kids will have the opportunity to meet Judah The Maccabbee - take a photo and even receive some gelt. 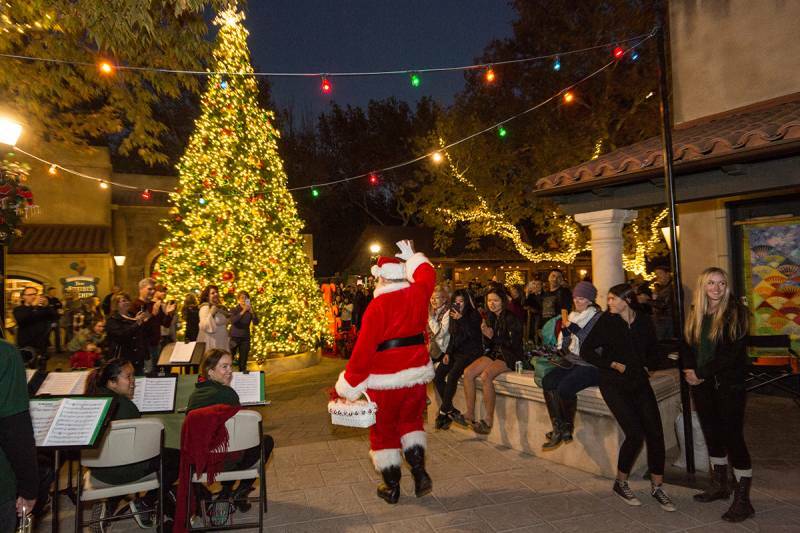 Friday, December 7th don't miss the Annual Holiday Tree Lighting in Tlaquepaque North co-sponsored with the Sedona Chamber of Commerce and Tourism Bureau. The countdown will begin at 5 pm while we await the arrival of Santa. 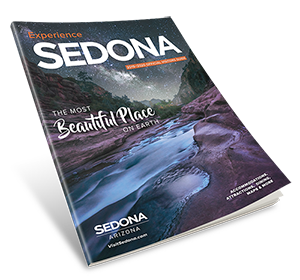 Our own Sedona Mayor will flip the switch for the gorgeous 26 foot tall Christmas tree. Music, hot chocolate and activities for the kids will be provided. 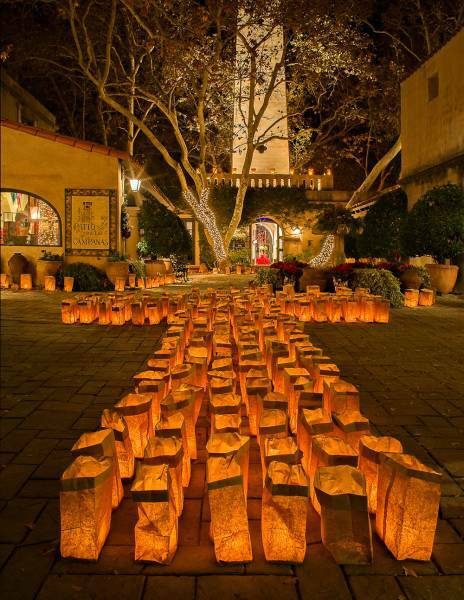 You won't want to miss the 46 year old tradition of the Lighting of the 6000 Luminarias on Saturday, December 8th from 3 pm to 8pm. 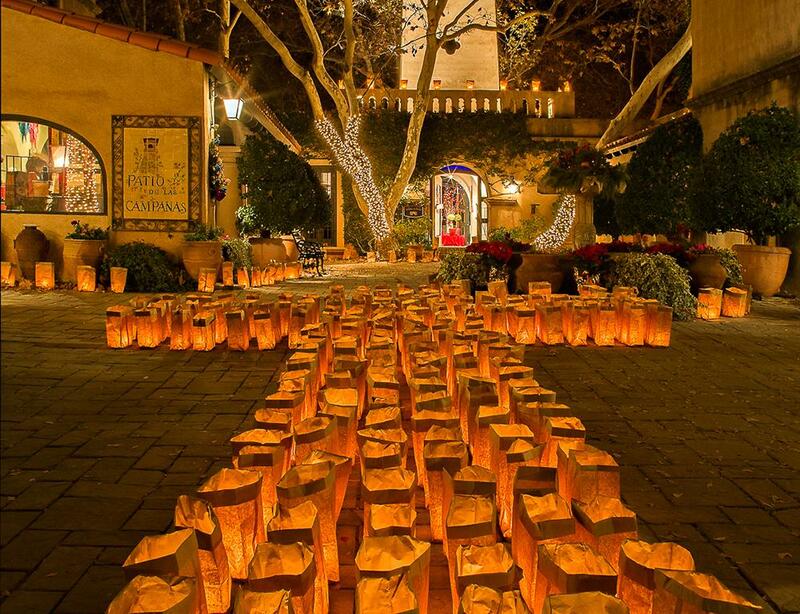 Plan on an exciting afternoon of holiday music, entertainment and the excitement of lighting the luminarias at 5 p.m. Special Luminarias to honor cancer survivors will be available for purchase. Last but not least, the Holiday Sweet Stroll will be Saturday, December 22nd from 3pm to 7pm. On this special occasion, the village is bedecked with decor and Santa will be there along with Carolers. Even the Grinch will make an appearance . All the shops will be open and filled with sweet treats, special give-a-ways and discount offers. You are sure to find something special for all those on your gift list and probably something for yourself. All events will have current and updated schedules on line at tlaq.com. Please feel free to call if you have any questions at 928-282-4838. Tlaquepaque will be closed on Christmas Day.